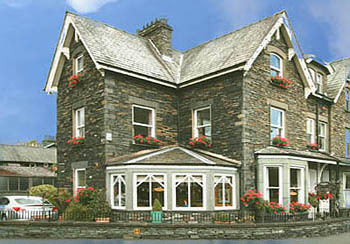 A very warm welcome to Easedale Lodge, Ambleside – A wonderful place to stay with lovely rooms, a great breakfast, ample free off street parking, a convenient central location with fantastic fell and village views and friendly hosts! Why go anywhere else? Settle in – Easedale Lodge is a charming, Victorian Lakeland stone house that retains many original features including solid oak doors and Lakeland slate tops to furniture. The entrance hall has the original Victorian floor tiles and stained glass which is an exact copy of glasswork by Mackay Hugh Baillie Scott (1865 – 1900). The lounge has a beautiful marble fireplace and the decor throughout the lodge compliments this centrally located and welcoming home from home. 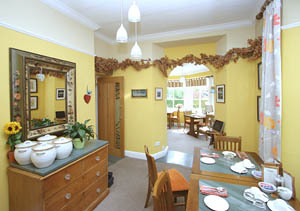 Eat well – Easedale Lodge has an elegant dining room with a full English or Vegetarian breakfast cooked to order, with a good selection of cereals, seeds, fruits, yoghurts and juices plus a range of speciality hot drinks all (where possible) sourced locally. 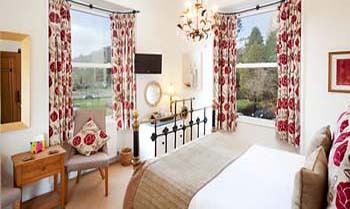 Sleep well – Easedale Lodge has beautifully appointed double bedrooms, with great fell and village views, each bedroom has individual decor to suit all tastes, with comfy beds and sumptuous soft furnishings. The hospitality trays are well stocked with both local and Fair Trade products. 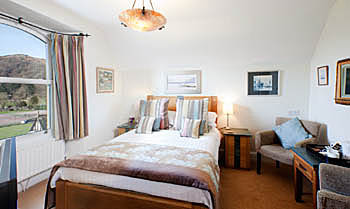 Each bedroom has a digital television, hairdryer and radio alarm clock. The pristine shower rooms have powerful showers, soft towels and biodegradable products made locally by Pure Lakes. 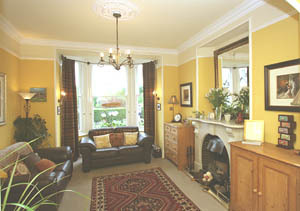 Tariff & specials – Easedale Lodge has reduced rates for stays of two nights or more on weekdays. The tariff ranges from £34 – £60 per person per night for bed and breakfast which varies according to room choice and season, ample free off street parking is always available as is unlimited free WiFi – Remember the longer you stay the less you pay!